1. Always calm children down or choose a quiet place before you start this activity. Let them focus on the story and have their full attention so they can concentrate on every words they read. 2. 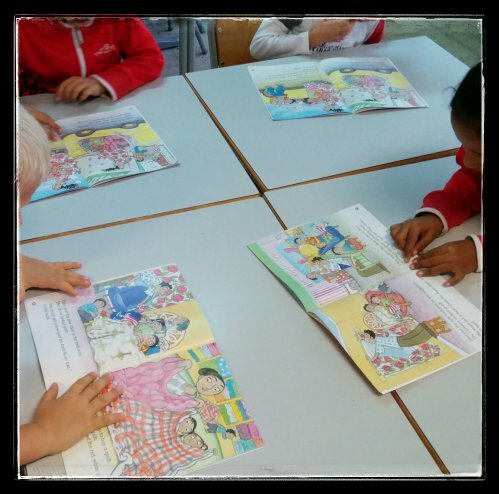 Make reading a fun activity then children are going to look forward to it. 3. Give them plenty of time to practice. Never rush. Don't let other students interrupt or correct slow readers. 4. Don't compare them with each other. 5. Give them full attention and make them feel you are interested. 6. Get different ways of reading. Choral, pair, group, individual. 7. When you choose pair reading make sure the stronger readers guide and help the other one. They enjoy the activity together and perhaps talk about the part of the story they have read about. Sometimes it is easier for them to read with peers and it has benefits for both of the children. 8. Talk about the pictures in the book. It helps with better understanding. 9. Talk about what is expected next to happen in the story. 10. Don't let them struggle with difficult words. Help them out if necessary. 11. Be positive. Give them nice compliments. Praise their improvements. Encourage them as much as possible. 13. Find some enjoyable follow up activities to get them interested in more reading. It could be a wordsearch with sight words, an easy art activity like drawing the characters or the setting then they could write key sentences under. Sequence the happenings. Making masks of the characters and play the story would be a good idea, too.